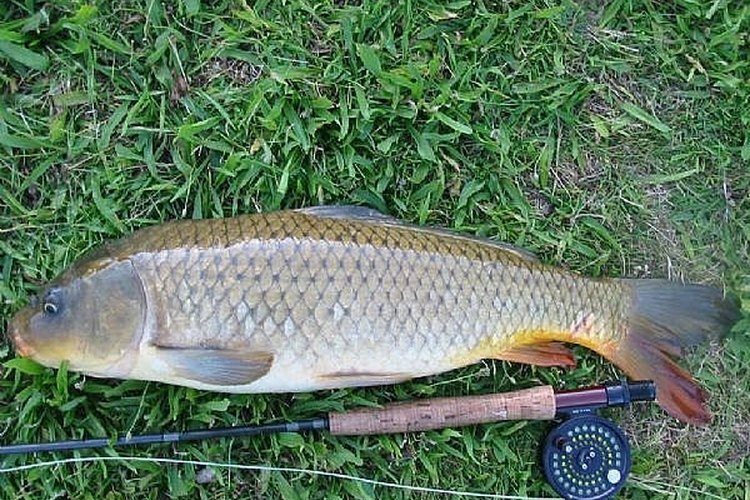 Fishing for carp is a relaxing pastime with tasty results. Every fisherman has his own opinion on which bait is best, but some find carp like rice bait. You can make your own rice bait at home and save yourself some money. Open the box of dry rice and pour it into the bucket. If you are planning to use a dry flavoring such as Jell-O or Kool Aid, add it to the rice. If you are going to use liquid flavoring, you can add it to the ketchup while you cook it. Place a sauce pan on the stove and heat to high heat. Add the all of the ketchup to the sauce pan. If you are using liquid flavoring, you can add it to the ketchup in the sauce pan. Heat until the ketchup begins to bubble. Cook for another minute after it begins to bubble. Remove from the heat and pour the liquid over the dry rice in the bucket. Stir everything well and make sure there is no dry rice in the bucket. Place the lid tightly on the bucket and let it sit for at least 30 minutes before using. When you're ready to use this bait, put a couple of corn pops on your hook and get out about a fist full of the dough and place the hook with the corn pops in the middle of it. Make a tight ball around the hook. Make sure to pack very hard and tight so it won't come off when you throw. Cast it into the lake or pond and just sit back and wait to catch the carp. You can substitute mustard for the ketchup if you want or you can mix mustard and ketchup or barbecue sauce.